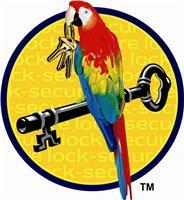 Paul Parrott Locksmith - Locksmith based in Weymouth, Dorset. Paul Parrott Locksmith is an Independent sole trader who provides every customer with 100% honest, reliable & friendly service 2nd to none. I am a UPVC multipoint & wooden door lock specialist, Including additional garage and gate security. I also provide an emergency 365 day 24/7 locksmith service. Keeping my previous, existing and new customers up to date with all the latest Insurance requirements for thier property including the TS007 3 star standard locks for UPVC doors. British Standard Kite marked locks BS3621:2007 for wooden doors, 3 star rated Sold Secure Diamond standard Euro Cylinders for UPVC multipoint locks always available. Call anytime for any advice or help, its my job to help you.